Arsenal’s coach, Arsene Wenger has hinted that Cameroonian defensive midfielder, Alex Song, might be the next player heading out of the club exit door. 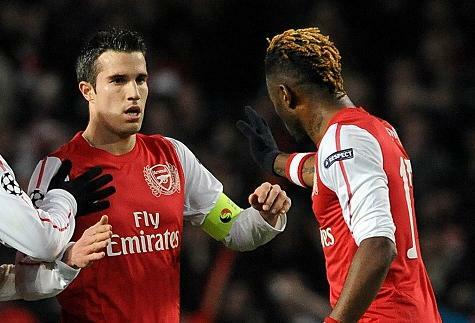 Arsenal fans were jolted on Wednesday when their high-scoring star-striker, Robin van Persie agreed to sign for the club’s premier league rivals, Manchester United. Song, 24, first joined the club on loan as a 17-year-old from a French club, Bastia. Meanwhile, Wenger confirmed that Thomas Vermaelen will replace Van Persie as Arsenal captain this season. “The new captain is Vermaelen and [the vice-captain is] Mikel Arteta,” he said. He added that he would have wanted the player abroad rather than have him competing with Arsenal week-in-week-out. The coming premiership season promises to be one to watch out for.